Instead, I'm going to focus on the positives of last week. We got to spend a few days at the lake house, one of my favorite places to go. Cecily went swimming for the first time in the lake. Ewan loved swimming in the lake. Cecily turned 8 months old last Tuesday (more about this tomorrow!). We got to go to the Toledo Zoo. And see baby polar bears! 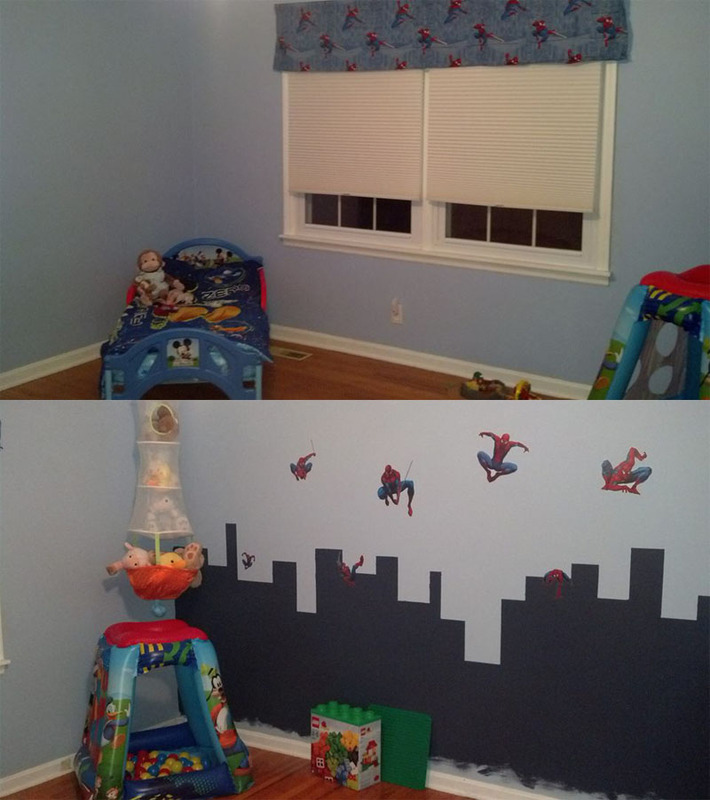 Ewan's reaction to his SpiderMickey room was priceless. We went somewhere new in our town. While our vacation wasn't exactly what we were planning on, we still got to do some things out of the ordinary, plus lots of time just hanging out with the kids. There's always next year to get out of town! I'm glad you had fun while you were away.